Thanksgiving Weekend – Ski Areas Open! Get out There! Ski Season is On! As of Saturday, November 30th at least 4 cross-country ski centers are now open for the season. It’s always a good idea both early season or late season – call ahead. Visit the Ski Area Directory Page for contact information. Also, it is early season, so, older equipment is recommended and a bit of caution is advised especially on downhills with thin cover. 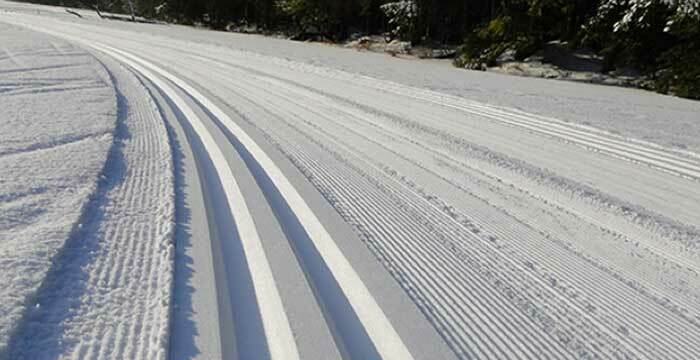 By admin|2013-11-30T13:40:48+00:00November 30th, 2013|event, XC-Ski News|Comments Off on Thanksgiving Weekend – Ski Areas Open! LAPLAND LAKE NORDIC VACATION CENTER’S ANNUAL OPEN HOUSE! Benson, NY – Lapland Lake Nordic Vacation Center will host its two-day annual Open House Saturday and Sunday, November 23 and 24 from 9:00am – 4:30pm each day. Visitors are invited to tour the Finnish-style four-season vacation center which is celebrating its 35th anniversary year. Open House is free of charge to all. Facility use fees will be half-price both days for those wishing to ski, snowshoe and tube (conditions permitting). If there is no snow, visitors are welcome to enjoy complimentary hiking on the resort’s 50km trail system. Visitors may enter a door prize drawing for a choice of any pair of new skis in stock OR a 2013-14 Season Pass Membership. If the individual whose name is drawn has already purchased their 2013-14 Membership, his or her purchase price will be refunded. During the two-day Open House all new cross country ski and snowshoe equipment will be discounted 30%. Rental ski packages will be available for purchase from $125.00 for juniors and from $175.00 for adults. Season-long equipment rentals ($75 – $180 plus deposit) will be available as well. Lapland Lake’s operator, former US Olympian Olavi Hirvonen, will assist with proper equipment selection and sizing. As the Hudson Valley hillsides change color and the leaves cover up the summer hiking trails outdoor enthusiasts’ attention will turn to the winter sport season. Many envision a downhill descent on a sunny winter day in the mountains far away from home. However, there is another way to enjoy gliding on skis or snowshoeing through Hudson Valley woods on a sunny winter day – with a visit to the Fahnestock Winter Park. To kick the season off and support the Metro NY, NJ and CT cross-country ski and snowshoe fans, the Fahnestock Winter Park’s 4th Annual Cross Country Ski and Snowshoe Swap Fundraiser will take place Sat., Nov 2 from 9 am to 1pm at Fahnestock State Park’s Taconic Outdoor Education Center (TOEC). If you are looking to upgrade cross-country ski or snowshoe equipment and are in the market for good deals on new equipment from last year’s models or used snowshoes, cross country skis, boots, poles, bindings, roof top car boxes, roller skis and waxing accessories, this is a great opportunity to purchase gear.